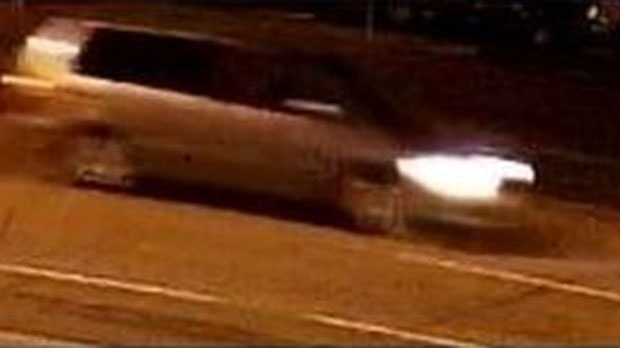 A vehicle wanted in connection with a now fatal hit-and-run in Scarborough on Sept. 26 is shown in this surveillance camera image. Toronto police say an elderly man has died in hospital nearly two weeks after an alleged hit-and-run. Police say the 79-year-old man was struck by a vehicle in the city's east end around 9 p.m. on Sept. 26. Police say the man was taken to hospital in life-threatening condition. They say he died in hospital on Saturday. Police released an image of the vehicle that fled the scene, but they say the suspect still hasn't be identified.